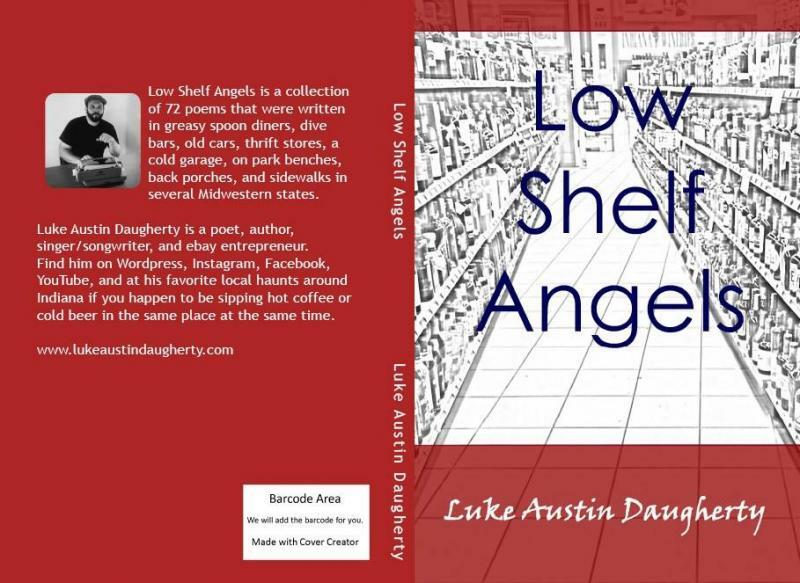 Also, check out loveisthemiddle.com "
Low Shelf Angels is a collection of 72 poems that were written in greasy spoon diners, dive bars, old cars, thrift stores, a cold garage, on park benches, back porches, and sidewalks in several Midwestern states. Luke Austin Daugherty is a poet, author, singer/songwriter, and ebay entrepreneur. Find him on WordPress, Instagram, Facebook, YouTube, and at his favorite local haunts around Indiana if you happen to be sipping hot coffee or cold beer in the same place at the same time. 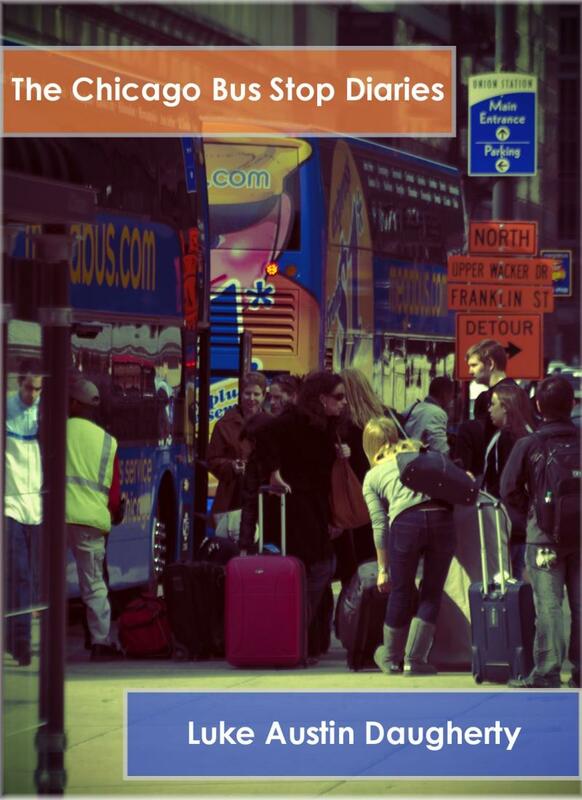 "The Chicago Bus Stop Diaries" is the newest book of poetry by Pulitzer nominated poet, Luke Austin Daugherty. This is the short history of eighteen people, at one Chicago bus stop, on one morning in the Spring of 2011. The eighteen main characters were pulled off of the sidewalk of South Canal Street between Jackson and Van Buren one morning and written down in prose by the author. They are found in "The Chicago Bus Stop Diaries" in the same order as they appeared in real life. This work is an admonition to all who read to look deeper into the moments of each day to find their treasure and tragedy. Let every person be a surgeon, pulling back the flesh of each day to reveal its inward parts. Poetry Book "Love with Vengeance" is available on Amazon's Kindle or Barnes & Noble's Nook. 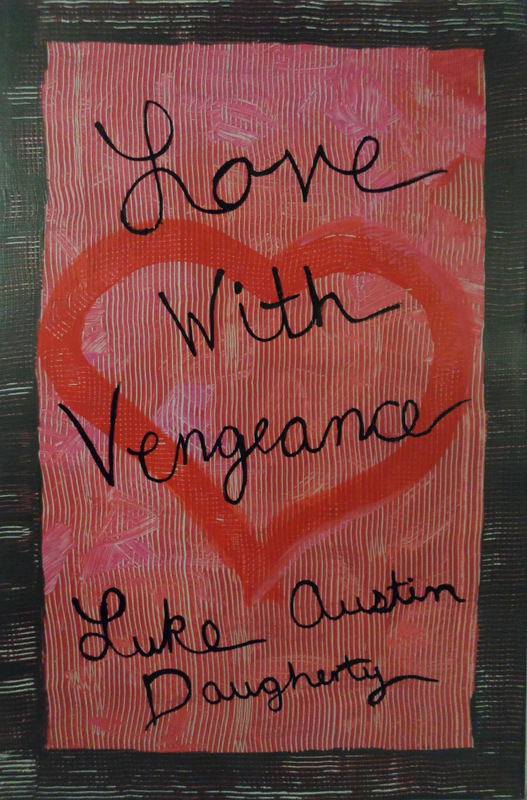 "Love with Vengeance," is an original collection of romantic poetry by award winning singer/songwriter, poet, and author, Luke Austin Daugherty. This work, originally published in 2005, contains twenty poems. 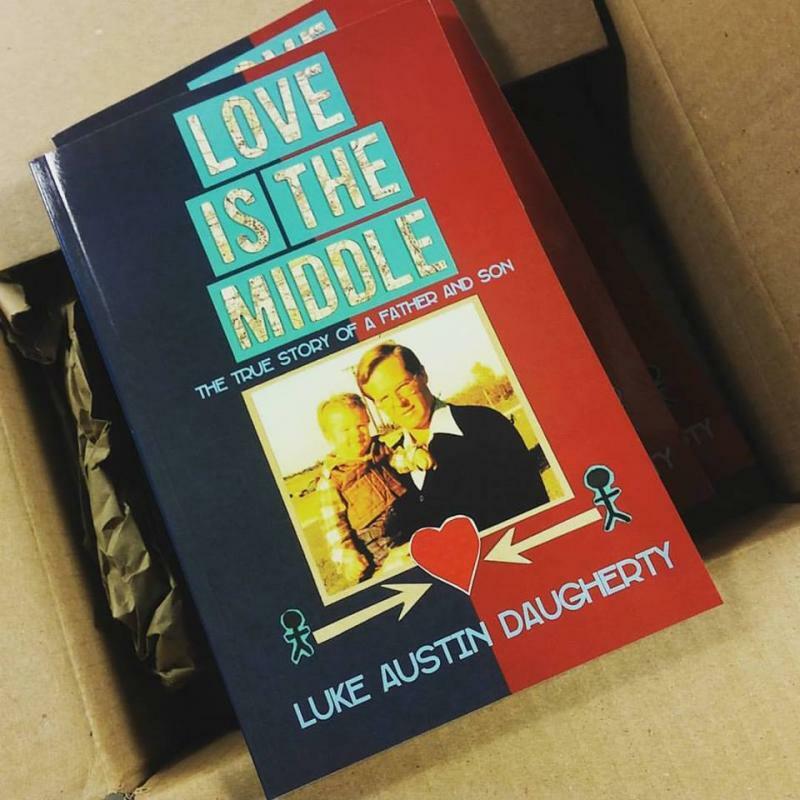 Luke's love and romance with his wife, Angela, was the inspiration for this book. The small town love story, "The Chronicles of Simon the Lover," is also included in this collection. It alone is twelve chapters long in verse form and tells the moving tale of, "Simon," and, "Muriel," set in 1950s America. You may contact us directly for purchases of any physical CDs or books that are listed above or any that are listed below. "Peace Revolution - Live at the Artsgarden"
"Songs and Poems in Brown and Blue"
"Background Music for In10s Moments"
"Stuff I Wrote While Driving"